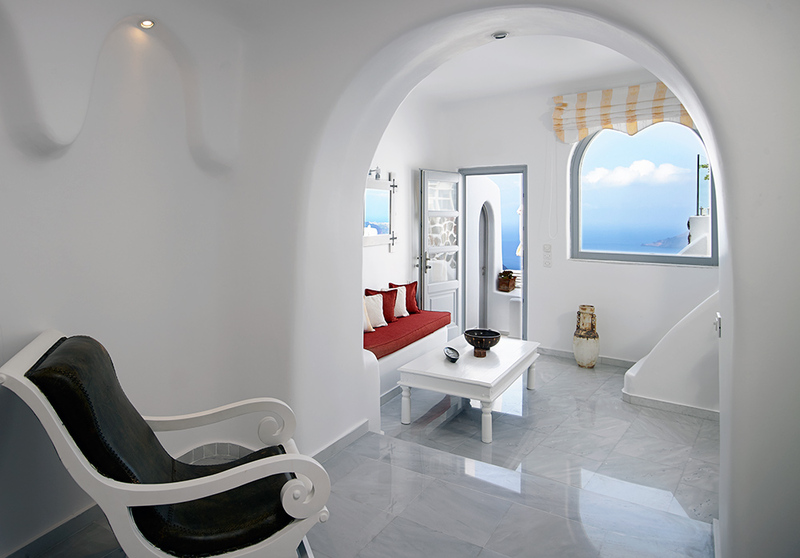 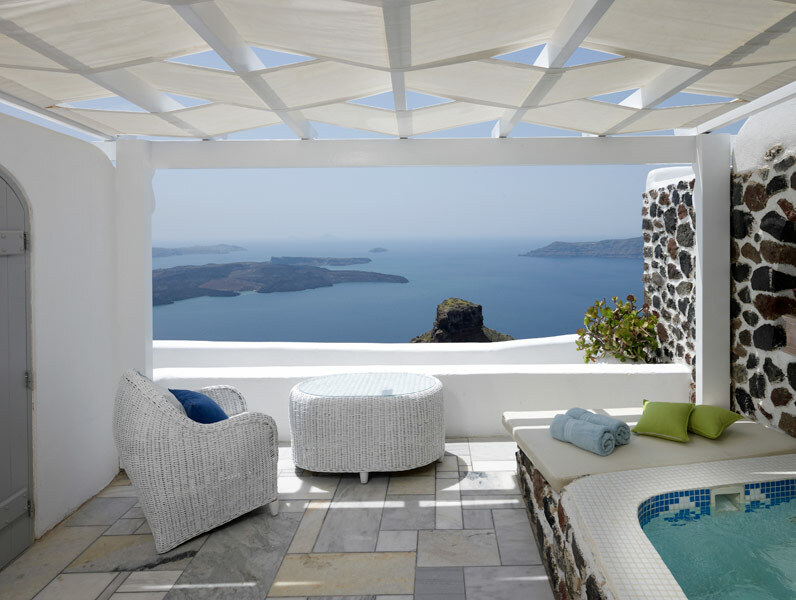 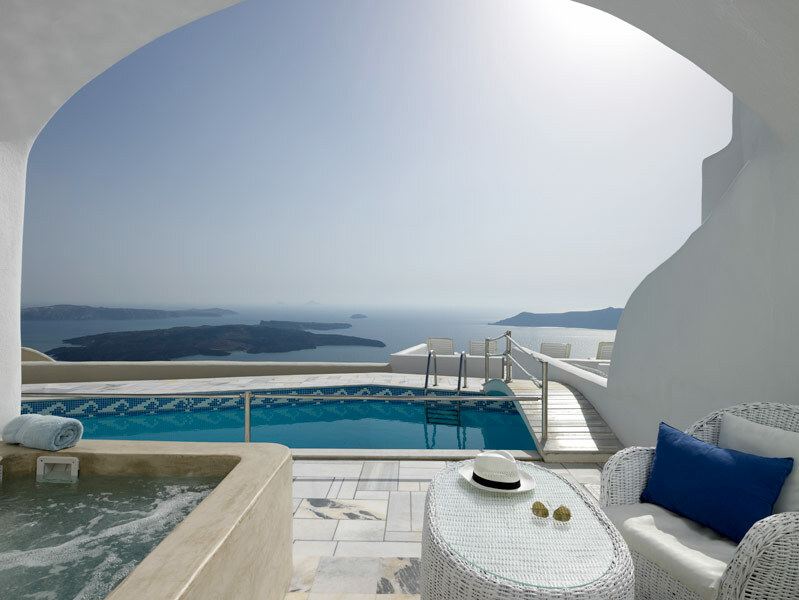 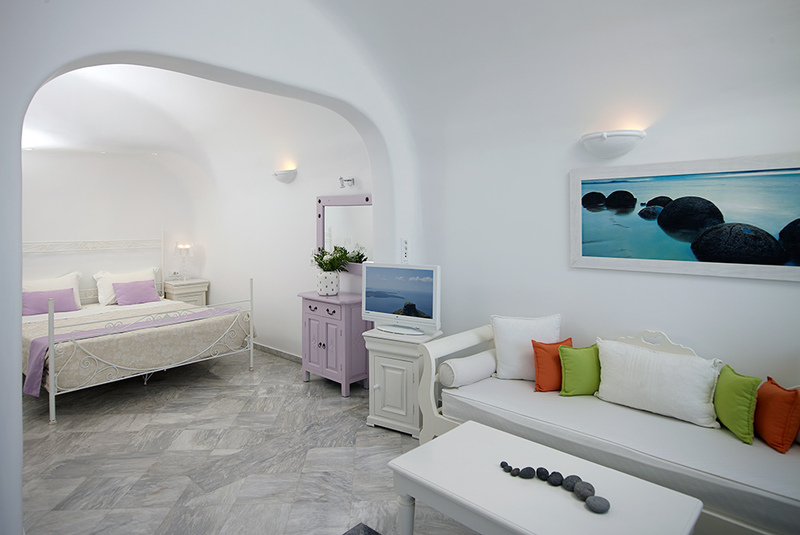 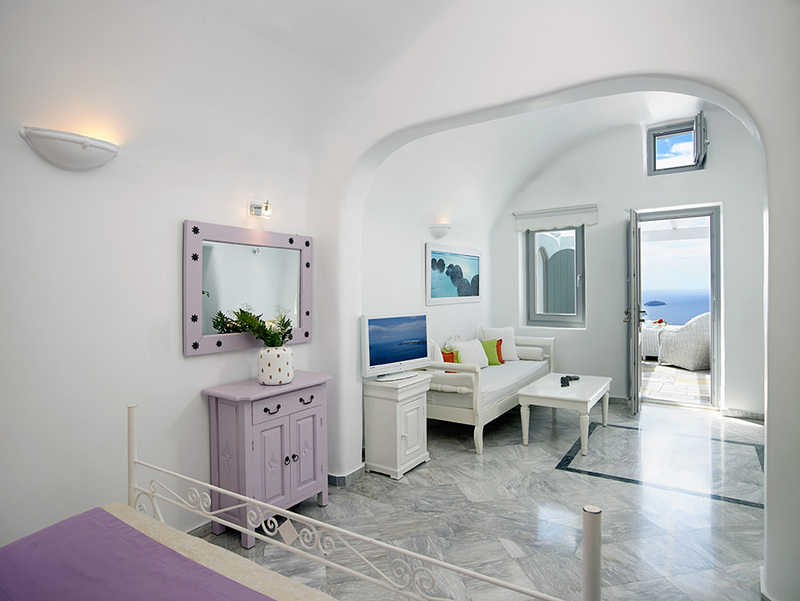 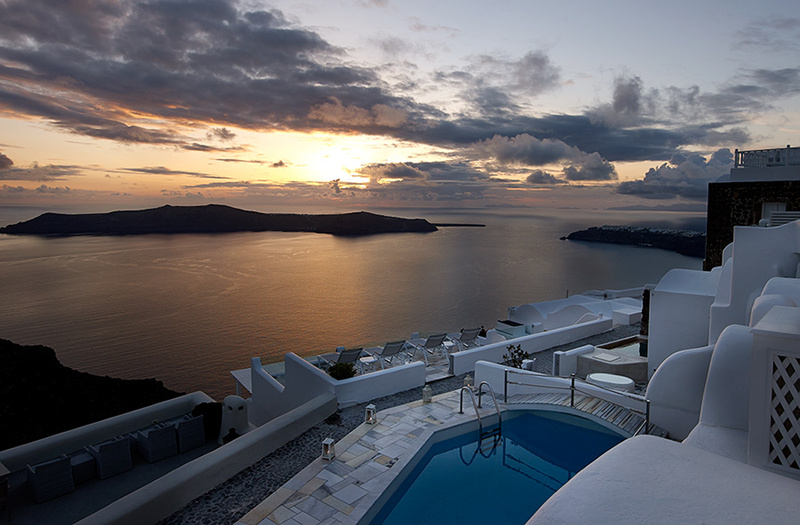 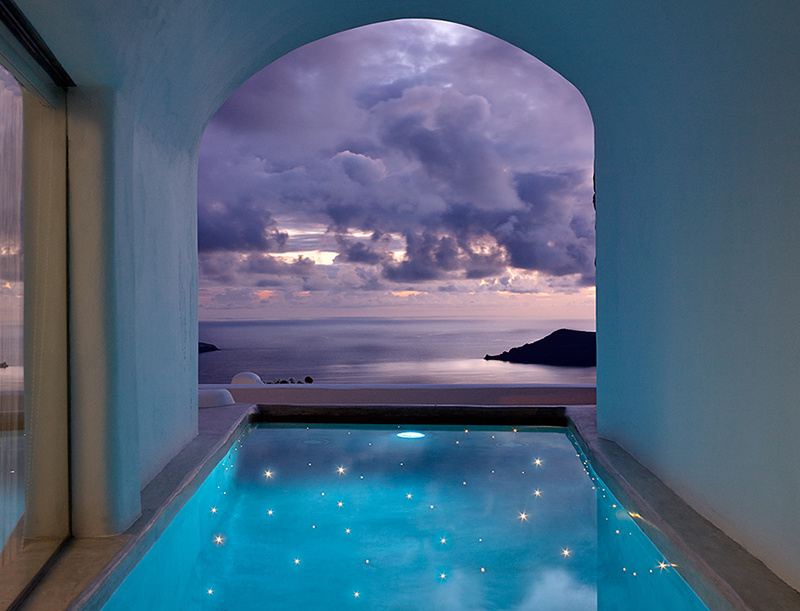 In Imerovigli, one of the most beautiful villages of Santorini you will find ILIOVASILEMA SUITES. 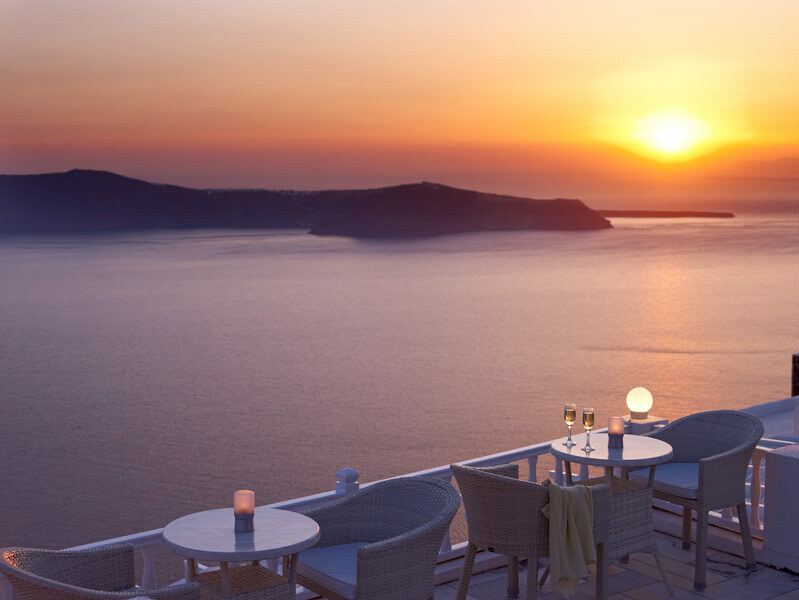 Poised on the cliff edge, 350m above sea level on the enchanting Caldera it offers its guests the most fascinating view of the volcano, the islands of the Aegean Sea, as well as the dazzling sunset. 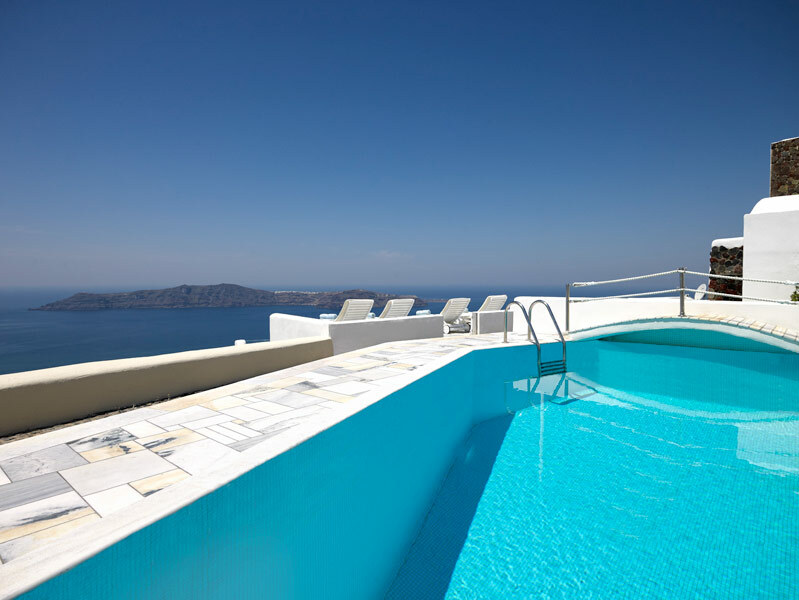 The ILIOVASILEMA hotel is only 1,800m away from the capital city of Fira. 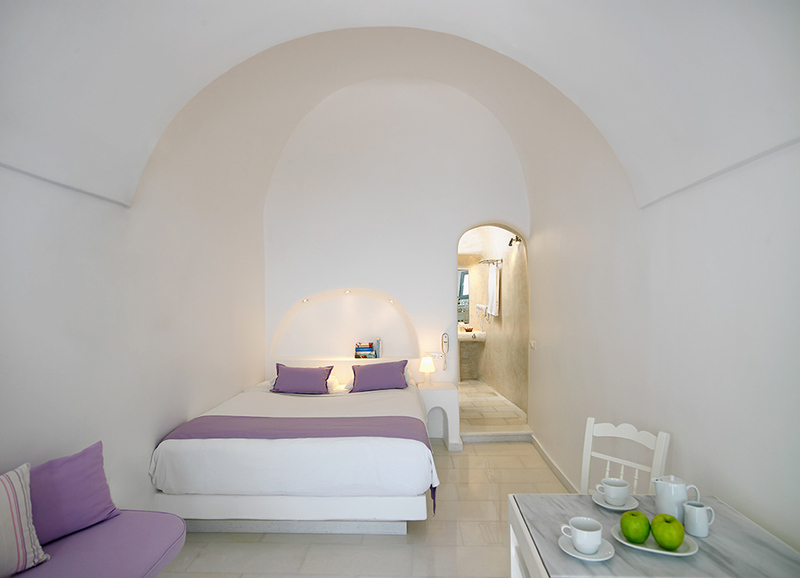 It was newly built (1996) and recently renovated (2002), always following the rules and the tradition of the Cycladic architecture. 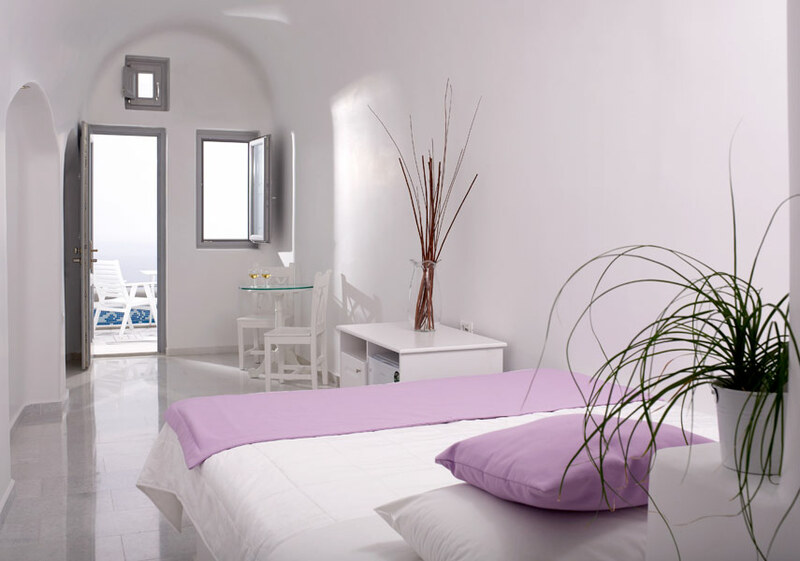 With a variety of rooms, ranging from simple studios to suites, you are sure to find a room to satisfy and fulfill your needs. 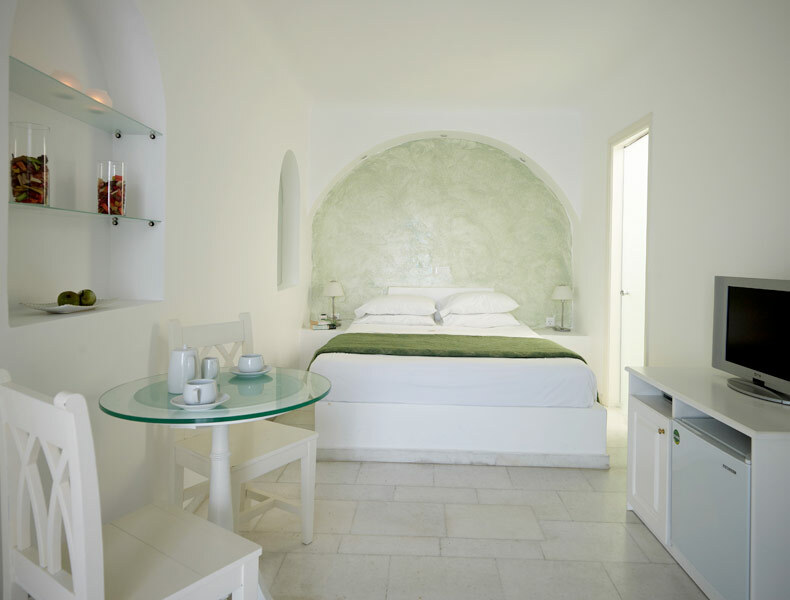 Moreover, our staff is always there to serve and help you with a smile on their face. 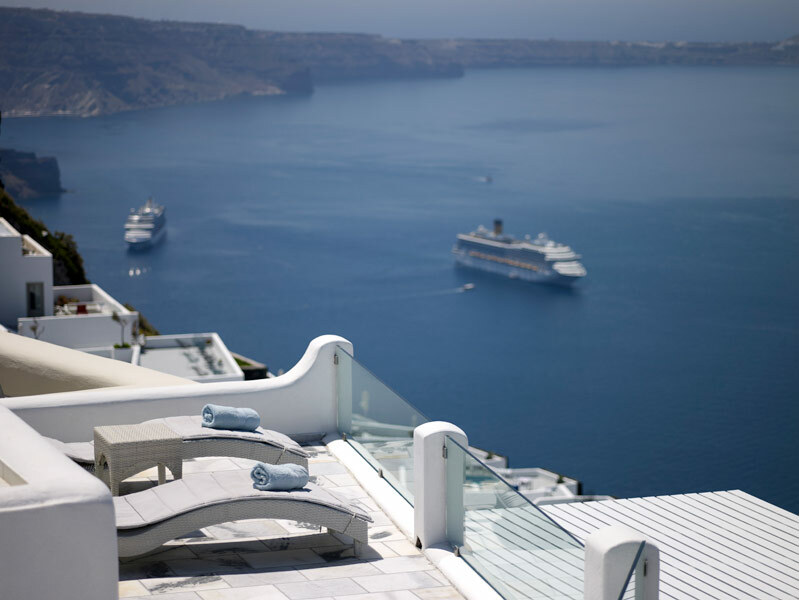 With a swimming pool carved into the cliffside, the ILIOVASILEMA hotel is perfect for unforgettable honeymoons and romantic getaways under the sun beside the blue Aegean Sea.